Earth Day is a name used for two different observances, both held annually during spring in the northern hemisphere, and autumn in the southern hemisphere. These are intended to inspire awareness of and appreciation for the Earth's environment. 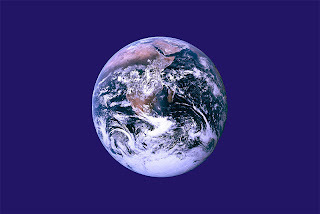 The United Nations celebrates Earth Day, which was founded by John McConnell in 1969, each year on the March equinox, while a global observance originated by Gaylord Nelson as an environmental teach-in, and since January 1970 also called Earth Day, is celebrated in many countries each year on April 22, including the U.S. Founded by the organizers of the first April 22 Earth Day in 1970, Earth Day Network promotes environmental citizenship and year round progressive action worldwide. Earth Day Network is a driving force steering environmental awareness around the world. Through Earth Day Network, activists connect change in local, national, and global policies. Earth Day Network’s international network reaches over 17,000 organizations in 174 countries, while the domestic program engages 5,000 groups and over 25,000 educators coordinating millions of community development and environmental protection activities throughout the year. Earth Day is the only event celebrated simultaneously around the globe by people of all backgrounds, faiths and nationalities. More than a half billion people participate in Earth Day Network campaigns every year. The equinoctial Earth Day is celebrated on the March equinox (around 20 March) to mark the precise moment of astronomical mid-spring in the Northern Hemisphere, and of astronomical mid-autumn in the Southern Hemisphere. An equinox in astronomy is that moment in time (not a whole day) when the center of the Sun can be observed to be directly above the Earth's equator, occurring around March 20 and September 23 each year. Although astronomically they occur at the mid-point of the seasons, in most cultures the equinoxes and solstices are considered to start or separate the seasons.